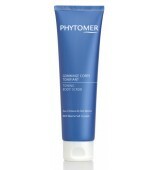 This cream visibly reduces the appearance of small unsightly veins on ankles and thighs. 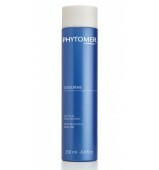 Thanks to its moisturizing action, it leaves the skin perfectly smooth and velvety. *Satisfaction test on 100 women after twice-daily application during 84 days. 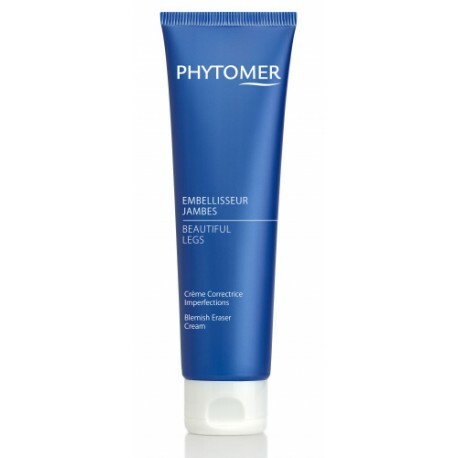 Marine Flavonoides: Antioxidant, helps limit the appearance of small, unsightly veins on the legs. Pro-collagen Marine Peptides: Helps reduce vasodilation in order to reduce the visibility of small, unsightly veins. Palmaria Palmata: Reduces inflammation and improves circulation. AQUA (WATER) / EAU, CETEARYL ALCOHOL, CAPRYLIC/CAPRIC TRIGLYCERIDE, GLYCERIN, BUTYLENE GLYCOL, ISOHEXADECANE, CYCLOHEXASILOXANE, DIMETHICONE, OCTYLDODECANOL, PRUNUS AMYGDALUS DULCIS (SWEET ALMOND) OIL, BEHENYL ALCOHOL, PENTAERYTHRITYL TETRAISOSTEARATE, PHENOXYETHANOL, SODIUM CETEARYL SULFATE, SODIUM ACRYLATE/SODIUM ACRYLOYLDIMETHYL TAURATE COPOLYMER, MICA, HYDROGENATED POLYDECENE, CAPRYLYL GLYCOL, SORBITAN LAURATE, 1,2-HEXANEDIOL, PARFUM (FRAGRANCE), MARIS SAL (SEA SALT) / SEL MARIN, XANTHAN GUM, TRIDECETH-6, CHLORELLA VULGARIS EXTRACT, CHONDRUS CRISPUS (CARRAGEENAN) EXTRACT, HYDROLYZED ALGIN, ETHYLHEXYLGLYCERIN, MARIS AQUA (SEA WATER) / EAU DE MER, PALMARIA PALMATA EXTRACT, DISODIUM EDTA, TIN OXIDE, MONOSTROMA OBSCURUM EXTRACT, BHT, GLUCOSE, POTASSIUM PHOSPHATE, CITRIC ACID, PROPYL GALLATE, TOCOPHEROL, DISODIUM PHOSPHATE, CI 77891 (TITANIUM DIOXIDE), CI 17200 (RED 33).